Whether you are looking to head out for an all day road trip or just a quick visit to the shops, your journey starts with a single step. 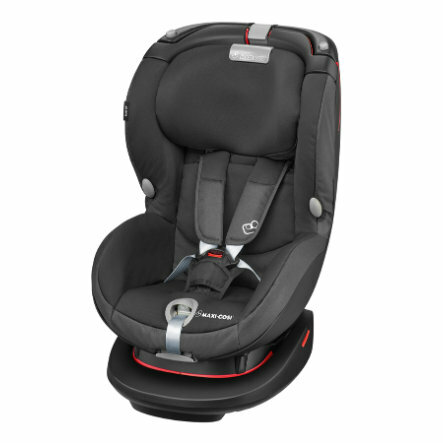 And the Maxi-Cosi Rubi XP makes that first step super easy. With the simple, self-explanatory installation using the 3-point seat belt of the vehicle, nothing can go wrong with this car seat! Special belt hooks keep the harness open for easy access when moving your toddler in and out of the car seat. The Side Protection System, which offers optimum protection in the event of a side impact, ensures special safety on the road. Four comfortable recline positions from sitting to sleeping guarantee a comfortable and relaxed ride. What makes the MAXI-COSI Rubi even more practical: the height-adjustable headrest with seven positions and the harness system, which can be easily adjusted at the front. Now all you have to do is decide where you want to go!